Make this snack in the morning so it has time to set and then eat it at 4pm – which is the worst time for me. I usually get home and hit the cupboard – cookies, nuts, popcorn, crackers and hummus – a little snack to tide me over – this bad eating habit alone is probably my biggest downfall. 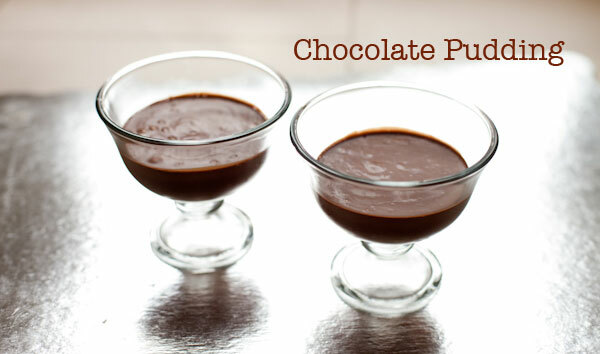 Let’s just say this chocolate pudding is DELICIOUS! I can’t believe I can eat this and lose weight – the 3oz serving was so rich I felt a little sick after it – seriously. 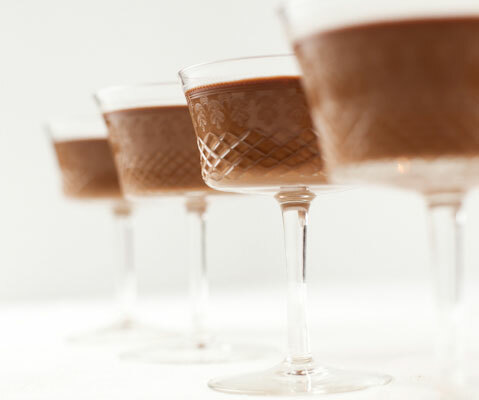 It’s heavier than the Chocolate Panna Cotta from Michael Mina in Made in America – and yet it doesn’t have the cream. Just lots of chocolate! It’s definitely a keeper. 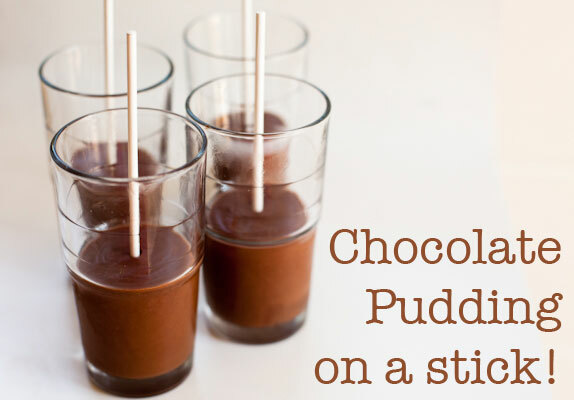 I’ve also used this recipe to make a great popsicle! Oh and you should also know that I can’t stand chestnuts – hubby loves them – so my heart sank when I read the recipe. Never fear – there’s none of that usual chalky texture in this dessert/snack – they chestnuts are lost in the decadent creamy chocolate creation… more of this please! 1. Melt the chocolate on the defrost setting in the microwave or over a double boiler. Set aside. 4. Add ½ cup of water to make a thick soupy consistency. 5. 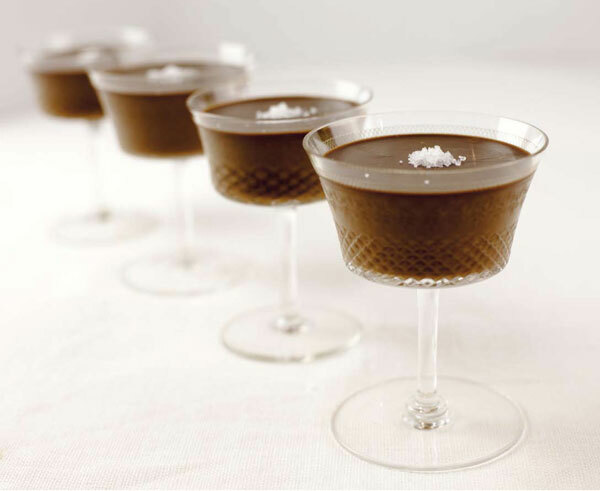 Divide into small glasses – the prettier the better and refrigerate for at least 2 hours so that it sets and is ready to eat.